A digitally-engaged IoT workforce conducts business with one another. Day in and day out. This workforce structure and function is the hallmark of how people work within the industrial Internet of Things (IoT) business ecosystem. Does this description of the IoT workforce – and the IoT workplace – marry up with the quality of your own work environment? In a sense, each engaged employee has two decisions to make every day. First, would they engage with and do business with themselves? Then, would they engage with and do business with one another? If the answer to each question is a resounding “Yes!” then your IoT workplace provides a challenging, productive and profitable pathway to professional development. If not, then your organization encounters a high rate of workforce churn. Consider the level of IoT workforce engagement in your own company. Ponder how many employees are thrilled to do business with each other every day. IoT workforce engagement means different things to different workforces, depending on business type and workforce context. First things first. Currently, many organizations strive to create fun and participatory digital workplace environments for employees. However, quality of digital engagement is very different in industrial Internet of Things (I-IoT) manufacturing, energy, logistics and software environments. As a result, within large-scale manufacturing and industrial environments, engagement is equated with level of innovation and collaboration. Consequently, technical, operations, IT and engineering professionals focus on complex problem-solving. When you think about it, industrial IoT workforce engagement means everyone is a business partner of everyone else. 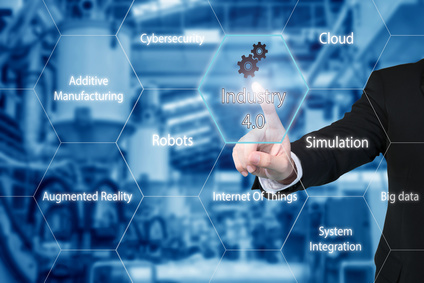 For example, industrial IoT workforce engagement focuses on projects to define parameters for creating simulations to predict failure or answer maintenance questions. Compare these types of projects to the for-fun gamification engagement platforms created to keep employees happy. Any comparison at all? Within these rigorous industrial environments, IoT fun and engagement result from rigorous, breakthrough collaboration. No one works standalone or keeps individual score via a specific engagement platform. Consider the context of IoT workforce engagement in your own company, relative to the type of business you run. Are employees motivated and engaged to solve problems together? Does this work environment make them “happy”? The primary purpose of creating an engaged IoT workforce is plugging into the IoT each day. For more information, click on this link. First, the IoT workforce becomes comfortable and conversant engaging with the relentless pace and cadence of the industrial Internet of Things ecosystem. Then, team members are “happy” because they get to collaborate each day, stretch their brains and continuously learn. Finally, employees are engaged in a constant quest to identify breakthrough solutions for very hairy industrial problems. Interestingly, what makes an engaged IoT workforce “happy” is challenging each other’s thinking. They are trained to validate proposed solutions and subject each hypothesis to rigorous testing. The focus of IoT workforce engagement is creating teams who are exquisitely well-suited to collaborate with one another. Even when there are differences in professional disciplines and education. The goal is to create an engaged IoT workforce that looks forward to doing business with each other on a daily basis. They are in the business of cross-functional collaboration. How close is your own organization to creating an engaged IoT workforce? Is it time to take the next steps? Babette Ten Haken is a corporate strategist, facilitator, storyteller, coach and speaker. She humanizes the Voice of the Industrial Internet of Things ecosystem. Her focus: customer success for customer retention. Looking for fresh IoT-focused workshops and an engaging speaker for your next meeting? Contact her today!